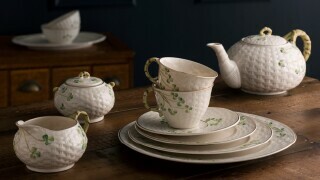 The Belleek Claddagh collection is inspired by the history of the Claddagh which goes back over four hundred years when a Spanish goldsmith fell in love with a girl from the Claddagh village. He crafted the first Claddagh ring for her. Since then the Claddagh ring has become a token of love throughout the world. 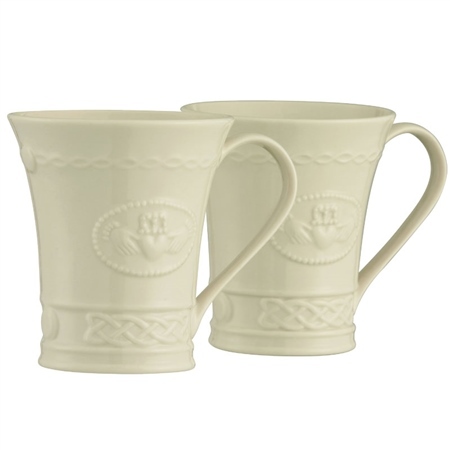 Its symbols of a heart under a crown held by hands represent love, friendship and loyalty.This pair of beautiful Belleek Claddagh Mugs are handcrafted in Belleek and feature an embossed Claddagh design, symbolising Love, Friendship and Loyalty. 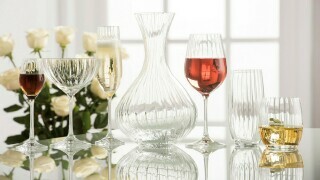 Perfect for an engagement or Anniversary gift. 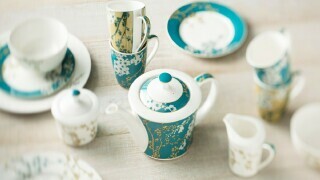 Love the simplicity and meaning behind these mugs.